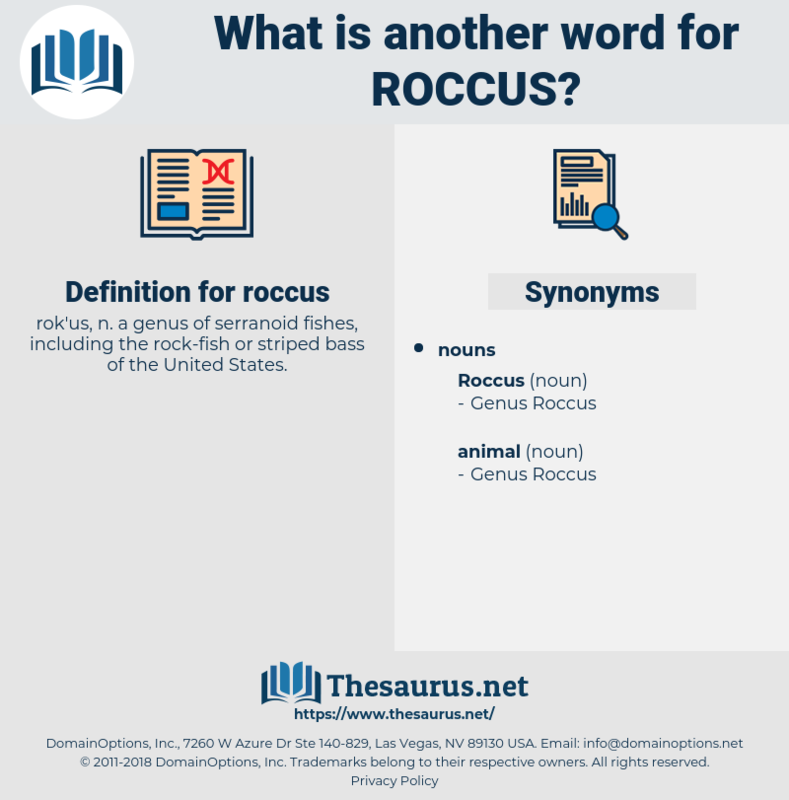 What is another word for roccus? 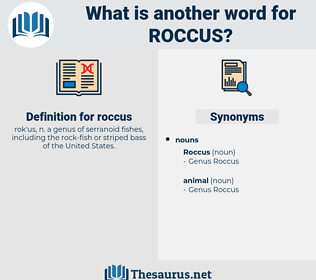 rok'us, n. a genus of serranoid fishes, including the rock-fish or striped bass of the United States. reissue, rejoice, reccy, russia, ragee, rosy, reassess, rehash, Rya Rug, reuse, rice, raja, roux, rouge, rick, ragi, race, roughish, rococo, rye whiskey, reseau, r.c., rook, ruckus, resew, ruscus, rakish, rachischisis, rack, rissa, rockchuck, rush, rhesus, roguish, rocky, rake, re-argue, rouse, raze, rucksack, raree-show, roseau, rehouse, rookie, rico, risc, ross, ruga, rework, rough-hew, rejig, raucous, rescue, rickey, rogue, rockies, rosa, risque, roughage, Rus, Reyes, riga, reggae, res, rosaceous, rose, roc, raj, ricksha, rose acacia, raise, rhus, rase, rugose, recess, RG, ras, rosaceae, rig, rage, Rex, rushy, rise, ruse, ruscaceae, risk, row house, reach, razz, rough, resh, resize, ruck, rock cake, rous, rug, rag, ross sea, rachis, rajah, rush away, rag week, recce, risky, rye whisky, rusk, richea, recuse, roach, ragusa, re-echo, raceway, rehearse, rock, reecho, rorschach, racy, rough-house, rickshaw, rosacea, rich, reek, rioja, recco, roughhouse, rhexia, rousseau, rash, reich, rask, riches. rockfish, Roccus Saxatilis, striper, striped bass.